The Kansas City Symphony journeyed to the past and into imaginary lands with its 1919-focused program in a bold performance Saturday in Helzberg Hall, conducted by music director Michael Stern. In 1919, the Western world had gruesomely ground itself up for too many years, so it is little surprise that fantasy flitted to the far away East and themes of escape, liberation, freedom, beauty, and redemption. Trade and colonialism brought stories and tunes along with coveted goods and low cost labor. I wonder what sort of ethnomusicological resources Carl Nielsen would have had as he prepared the incidental music for “Aladdin.” Did he draw from existing melodies or was it all conjured in the imagination of the Danish violinist? Whether derived from fact or fiction, the seven pieces in the “Aladdin Suite” do render the story’s elements of excitement and grandeur. The sturdy, booming presence of the low brass created the illusion of a stately elephant procession, the trill of brightly plumed birds fluttered from the winds, while sinewy melodies and a generous amount of triangle squared this for exotic fare. Nielsen created the commotion of the bazaar by overlaying themes in “The Marketplace of Ispahan,” what must have seemed truly bizarre to his contemporary audience. Stern laid down his baton for this one, preferring to shape the entrances. Though he let the trumpets and timpani overtake the texture, the clarinet delivered on the extended diminuendo. However, in too many instances, this performance suffered from inconsistent internal pulse in the ensemble, bringing an anxious quality to what could have been pure excitement of discovery. 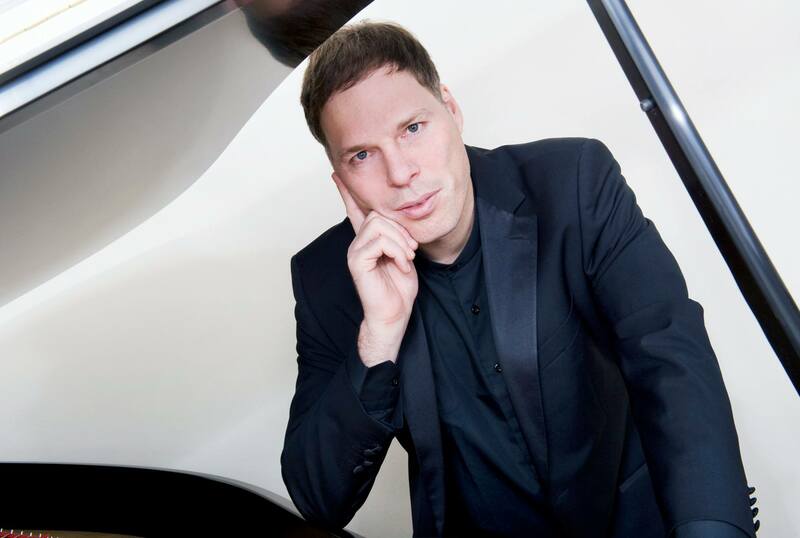 Pianist Alon Goldstein joined the orchestra for Sergei Rachmaninoff’s Piano Concerto No. 1. Rachmaninoff wrote it when he was 18, but later revised it, taking its final form in 1919, after he had immigrated to the United States on the heels of the Russian Revolution. Goldstein, who in addition to being an international touring concert pianist is also a visiting professor at the University of Missouri-Kansas City’s Conservatory of Music and Dance, preempted the performance with some jokes and nuance into the Russian psyche. Stern had also offered a few comments about the program’s context, prior to the Nielsen. This growing trend in on-stage program notes, which I’ve found to enhance personal connection and audience understanding, is excellent relief from the presumption of tuxedos and silence in the concert hall. Nuance and balance were restored in Charles Tomlinson Griffes’ “The White Peacock.” Wonderfully impressionistic, he created a musical interpretation of William Sharp’s poem with elegant chromaticism: “As though through the noon-tide/A dream of the moonlight were real for a moment.” The poem is a prolonged description of a garden, and this performance evoked the unfurling blossoms and trickling springs, wavering shadows and scented winds. A redemptive “Firebird Suite” closed the program, presented with renewed confidence. Taken from Igor Stravinsky’s famous ballet score, of course, the 1919 orchestral suite has a nearly uncontainable sense of movement and pulse. And while, yes, the huge fortissimo moments can knock you over, here it was the subtle, barely audible moments, finely controlled, that pull me into the story. One hundred years ago, this music was new, fresh and innovative. The pieces captured some element in the social consciousness of the time that, despite familiarity, we still seek out. However, in an art form that revels in zero sum genius, will we learn the stories of today if we are focused so keenly on the past? Reviewed Saturday, January 26, 2019. 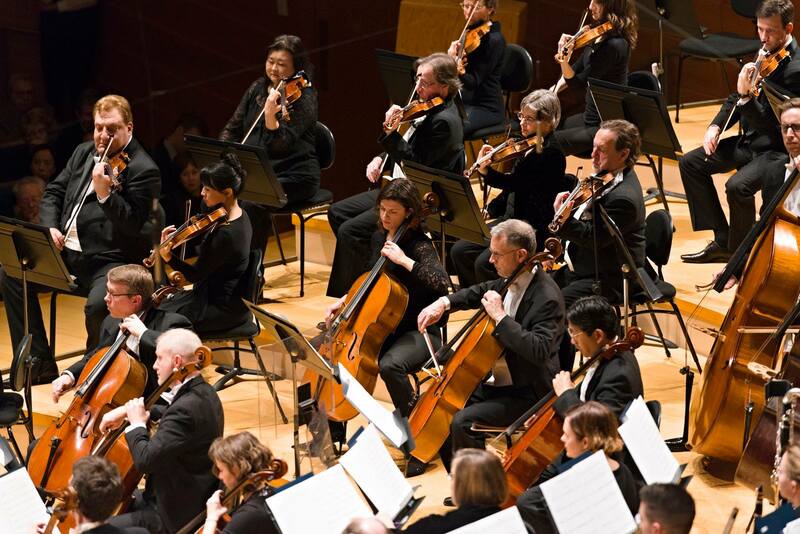 Kansas City Symphony also presents “Enchanting and Exotic” on Sunday, January 27, 2019 2 p.m. in Helzberg Hall. For information visit www.kcsymphony.org.